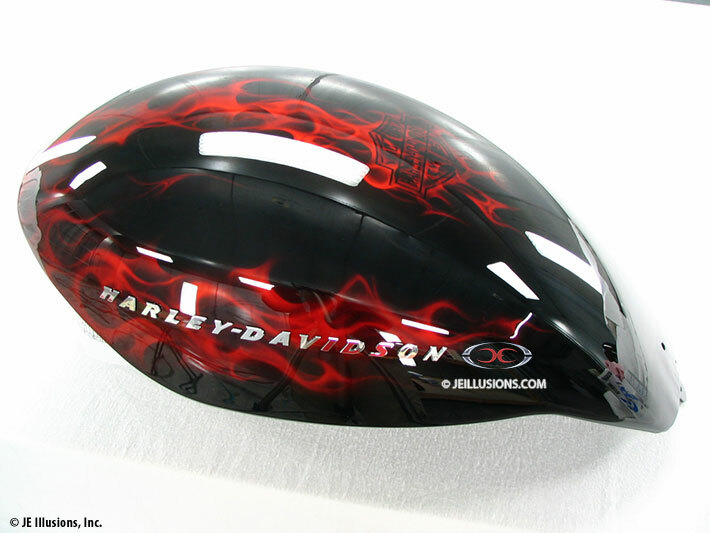 This Harley-Davidson V-Rod set began with a true jet-black base with our signature lava flames. 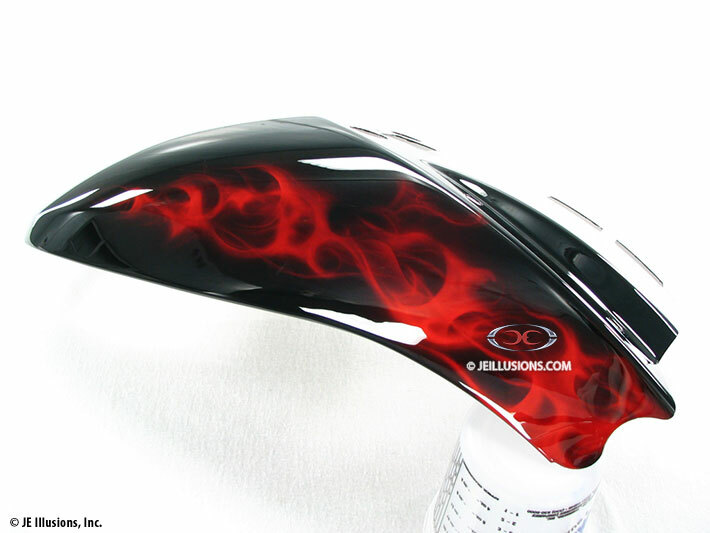 Red Kandy Realistic Flames. 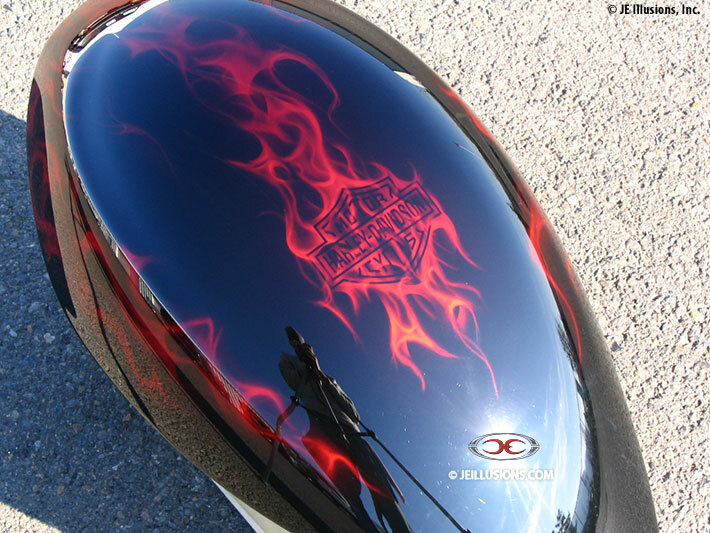 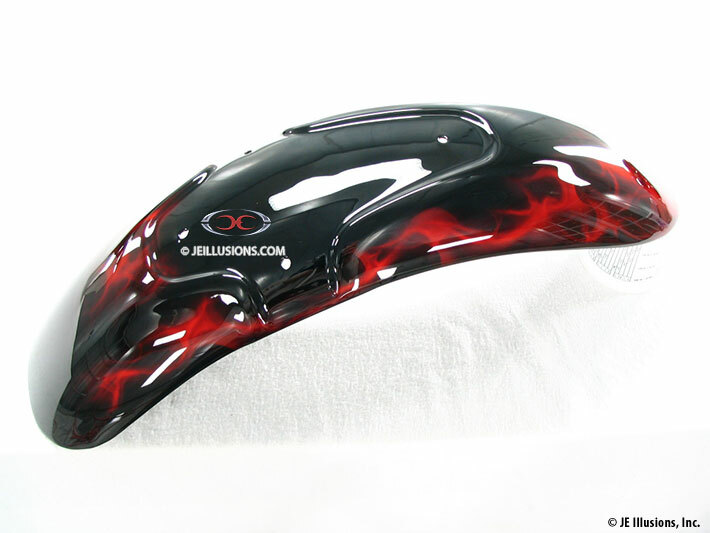 A custom Harley-Davidson bar and shield was then airbrushed with Fire Accenting it.